THIS IS SOO AWESOME!! I'm A Big Podcaster, and I listen to Soo Many, BUT THIS ONE; WOW! Makes me feel like I'm right in the room with them! This Needs To Be A TV Series!! I hope it does become one, if it's not already in the making! Need A New SEASON!! 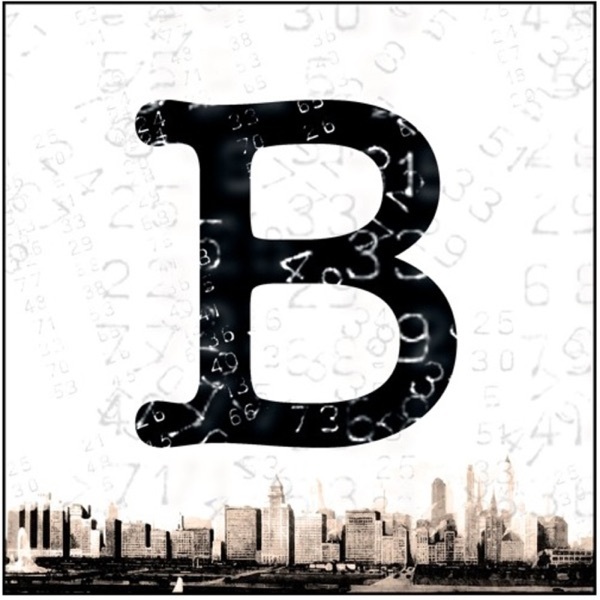 Starring Laurence Fishburne, Larenz Tate and Tika Sumpter, and written by Academy Award(r) and BAFTA nominee Josh Olson ("A History of Violence"), BRONZEVILLE will chronicle the lives of players in the lottery games while illuminating the self-sustainability of the community's African American residents. With the realization of who’s been behind all the troubles the family has been facing recently, Jimmy, Randolph, and the Copelands plan a full on assault on their newly discovered enemy, with enormous consequences for the future of Bronzeville. Furious with her family, Lisa leaves Bronzeville and goes to St. Louis, where she meets up with Frank Barnes. Back on the South Side, the Copeland organization is unraveling. Tension between Lisa and Everett over her budding relationship with Jimmy mounts. Randolph goes into the heart of rich white Chicago society and deals with some important family business. Everett is finally released from prison, and the forces that have been squeezing Bronzeville and the Copeland organization step up their game. While everyone else has come to trust Jimmy, the new kid, Everett’s not so sure, which makes life even tougher for the kid. An explosive murder changes everything. While Randolph threatens to take Bronzeville into total war, Jimmy has to take Lisa to the Copeland’s out of town house for protection. When Lisa is kidnapped by a pair of out of town thugs, Jimmy and Casper begin a desperate search to find her before she’s killed. But as we’re starting to learn, there’s much more to Lisa Copeland than meets the eye. While Randolph deals with the day to day realities of being the most powerful man in Bronzeville, Jimmy is sent to Northwestern to protect a bright young Bronzeville kid from some brutal white fraternity boys. As pressure on the Copeland organization mounts, Jesse sends Jimmy and Casper to investigate some mysterious discrepancies involving a fortune teller and a mid-level numbers operator that ends in bloodshed. In prison, Everett finds himself on the wrong side of a racist guard. With Everett Copeland in prison, his brother Jesse struggles to keep the gangs running smoothly, with some help from Curtis Randolph. Jimmy and Casper spend an evening at The Royale, the hottest nightclub in Bronzeville, where Jimmy meets the stunning Lisa Copeland, and has an encounter with the treacherous Frank “Better Offer” Barnes. Young Jimmy Tillman, a black kid who’s killed a white strike breaker in self-defense, flees rural Arkansas and comes to Bronzeville, where he soon falls in with Casper Dixon, a smooth talking numbers runner, who brings Jimmy into the Copeland organization. Bronzeville premieres Tuesday Feb 7th!